Before TheWorld can finish off Yamato for good, he malfunctions and loses his clothes, much to Yamato’s shock. Naria comes to collect TheWorld before Yamato can ask more questions. TheWorld human is chained back up. Ginis comes riding in on some… thing and drops more coins into him, asking TheWorld to trust him. Azarudo is very irritated by TheWorld’s presence. At the treehouse, Yamato asks the others if they think TheWorld can be saved. They think he’s crazy since they almost died thanks to TheWorld. Tusk reminds him that TheWorld is made of a human and three Zyumans, so it might be impossible to return him to normal. Yamato insists that TheWorld seemed to be in pain and regretful of his actions when back in his shirtless human form. The Zyuman4 understand what Yamato is trying to say, but they just can’t bring themselves to consider TheWorld anything other than their enemy. Downtown, Azarudo’s player Bowlingen begins to rampage by forcing people to act as pins to his bowling ball body. The Zyuohgers arrive to take him on. Ginis and Naria accompany TheWorld into the throne room and tell Azarudo and Cubaru that he’s all better now. And just in time as TheWorld heads down to fight the Zyuohgers. TheWorld knocks Bowlingen away and goes Wolf. And just as easily, TheWorld knocks The Zyuohgers onto their asses. Yamato decides to demorph and tells TheWorld he does not want to fight. Naria says that’s a pointless move, but Yamato does not give up and instead gets his face kicked into the ground. Before TheWorld can finish Yamato, Amu and Sela knock him out of the way while Tusk creates a distraction to allow all of them to escape. Later that night, Yamato is in bed after being bandaged up. Uncle Mario asks the Zyuman4 what happened, but they only say Yamato was trying to catch a wild animal. Uncle Mario remembers when Yamato once got kicked trying to catch a horse that ran away. He asks them to have Yamato’s back before going to bed himself. The Zyuman4 remember how Yamato’s kindness helped not only Larry, but them as well. Next morning, Yamato gets up and sees the others waiting for him in the living room. He apologizes for being so reckless, but they tell him that while they are unsure about saving TheWorld, they will trust in Yamato and believe in what he does. Their tails go hard and they head out as Bowlingen bowls over more people. TheWorld is ready to join in the fun, but Azarudo says this is his play. Ginis allows it. 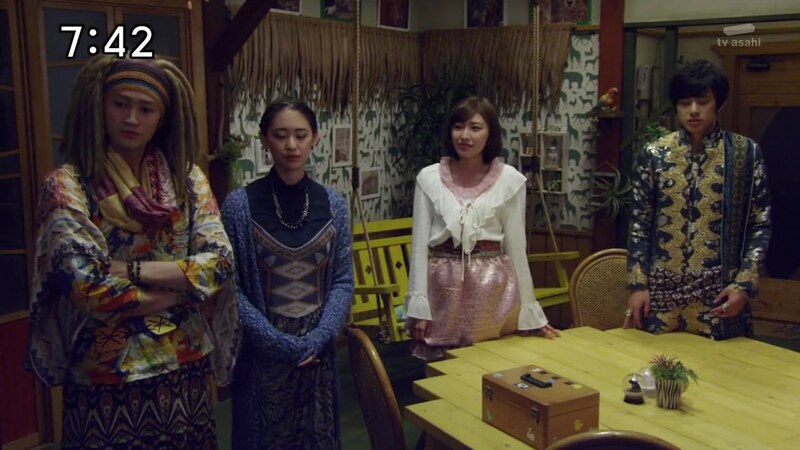 The Zyuohgers are able to overcome Bowlingen’s bowling ball and Azarudo asks Naria for a Continue. The Zyuohgers hop into Wild ZyuohKing, but soon enough Ginis sends TheWorld who hops into Tousai Zyuoh. Bowlingen runs off and TheWorld takes on the Zyuohgers. 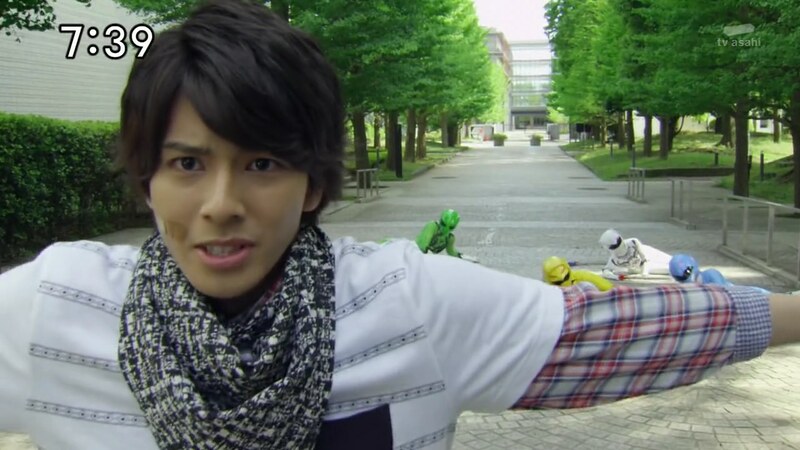 Suddenly, Cube Kuma turns into a gold Panda and attacks Tousai Zyuoh. 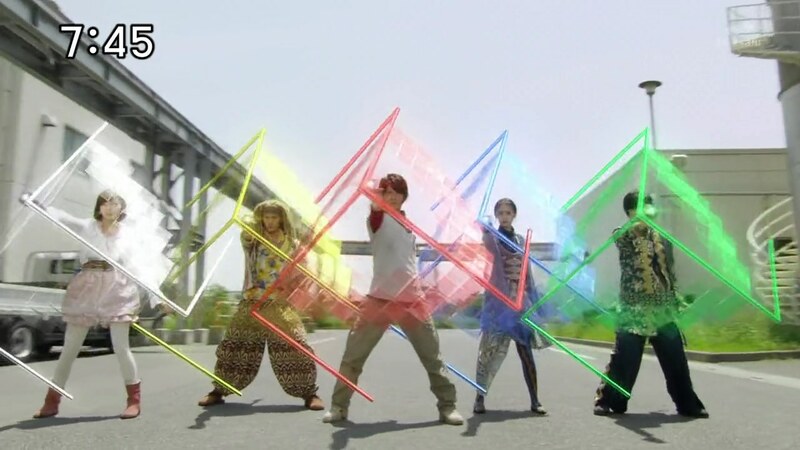 The Zyuohgers use the new upgraded Panda axe to hold off Tousai Zyuoh. This allows Yamato to hop into the cockpit with TheWorld. Yamato grabs TheWorld out and back to the ground. TheWorld unleashes his beasts, but Yamato stands his ground and merely holds him off, repeating that he does not want to fight. TheWorld says he will fight because it is what Ginis wants. Yamato tries to get TheWorld to wake up, but TheWorld pledges his undying devotion to Ginis-sama who he feels “understands” him. Yamato is forced to demorph as the others arrive. He tells TheWorld that he doesn’t think Ginis really does care about him since he forces him to do such horrible things. 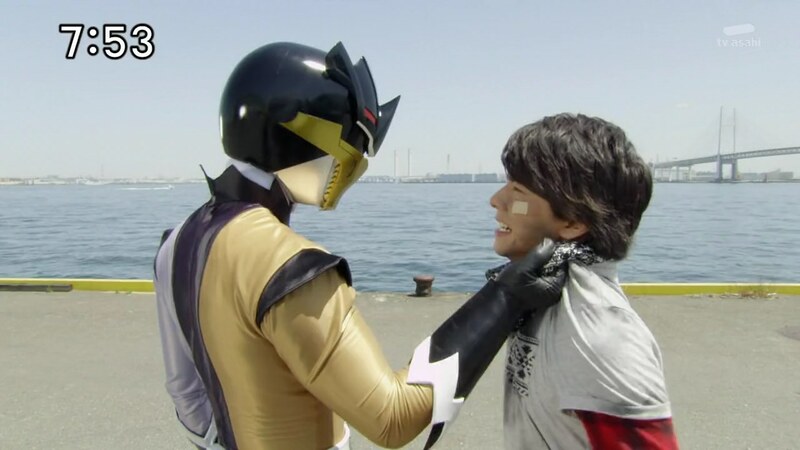 TheWorld loosens his grip on Yamato. Naria pops in to refocus him, but the Zyuman4 come to face TheWorld as well. TheWorld proceeds to knock the Zyuohgers around, but Yamato continues his plea. And it seems to be working! TheWorld starts to think about who to trust; Ginis who says he knows everything about him or Yamato who says he doesn’t, but asks for him to believe in them. TheWorld breaks free of the chains. The coins burst out of his body. Naria tries to collect TheWorld and bring him home, but TheWorld just kicks her. TheWorld says he will no longer follow their orders. Ginis calls Naria back. Yamato asks for TheWorld’s real name. Okay, that was a solid episode. I still wish they kept TheWorld under Ginis’ control a little while longer, but this was an alright episode to get him with the team. 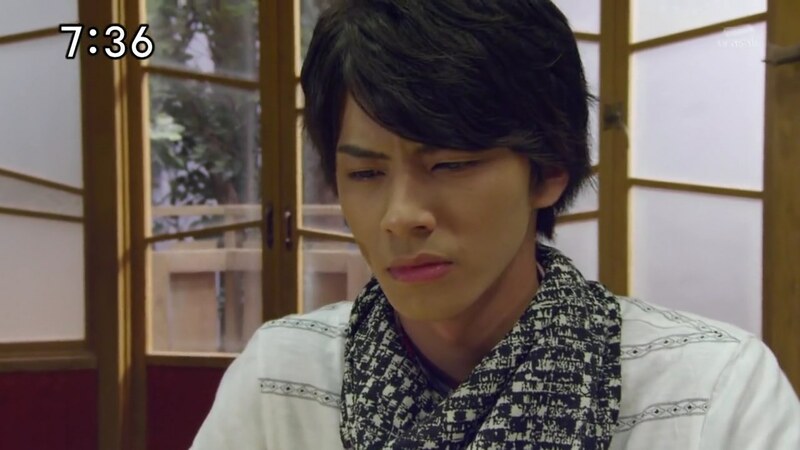 I wonder if Yamato will eventually be more than just a nice guy who loves animals. There’s gotta be some connection there with the Zyumans and Zyuland. That would be a great twist later on. And Uncle Mario will likely be involved, so revealing more of Yamato’s backstory is something to look forward to. Let’s talk about Ginis. WTF was he riding on?! Some horseturtle or something? Or was that whole thing part of his body? His throne? I don’t even know about any of that, but I do know that it was kinda amazing. That was randomly cool and menacing at the same time. I see you drone shots at the beginning of the episode at the river! And literally bowling people over was pretty funny. Fun to see that Bowlingen lives to see another episode. Overall, a solid episode. Let’s see how they introduce Misao now. ← Recap: The Amazing Race Canada 4, Episode 1 – "We are so dumb that we made this mistake."